A day in the workshop. After work, clean up. 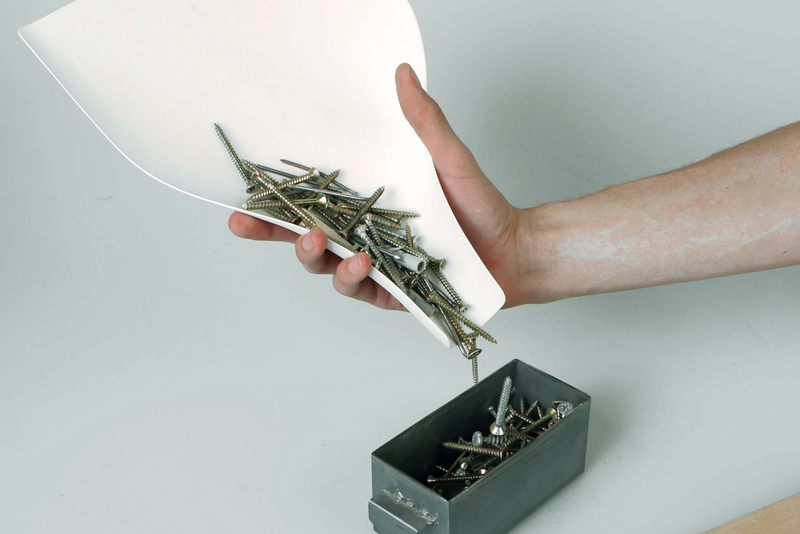 No dustpan and brush in sight. An old newspaper offers itself as a makeshift replacement. 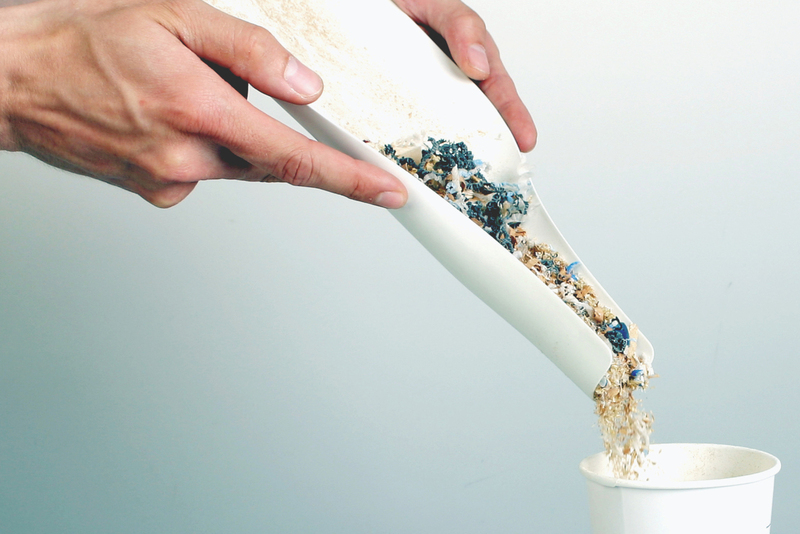 When pouring away it is conspicuous, that nothing falls besides, neither on trash-bins with narrow openings or flaps. This aspect has been filtered out. The essence is Besel+Schaufel. 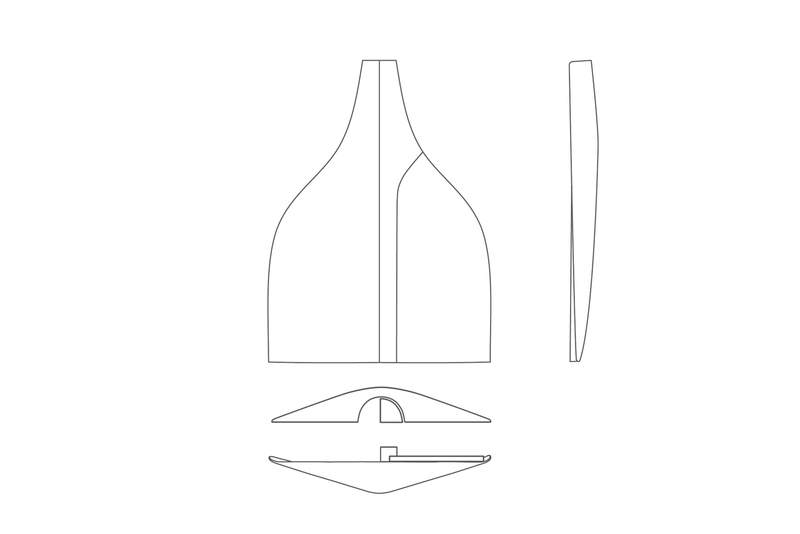 Dust, granulates and incidentals can be poured or decanted targeted through the funnel-shaped handpiece. 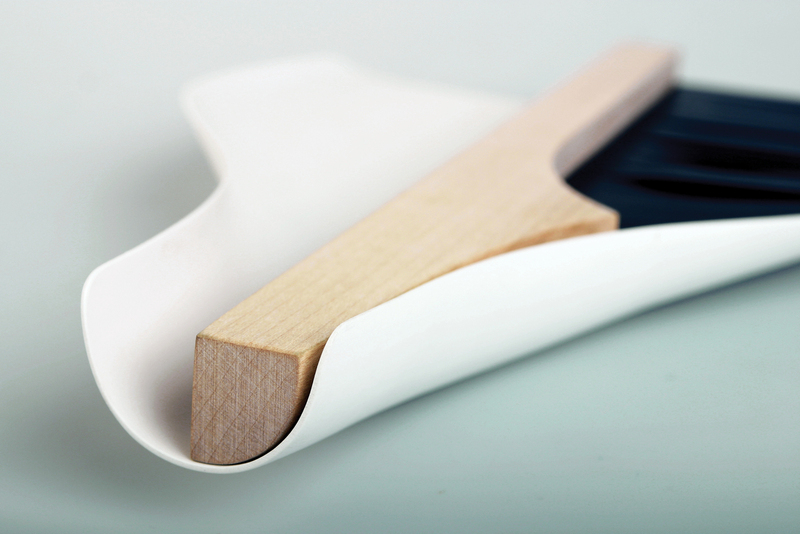 The bristles of the brush are made of sole-rubber and therefore washable. Hygiene and durability are the advantages. So it can also be swept on wet floor without any problems. The handpiece adopts the ergonomic form of the shovel for optimum handling and positive placing in each other. 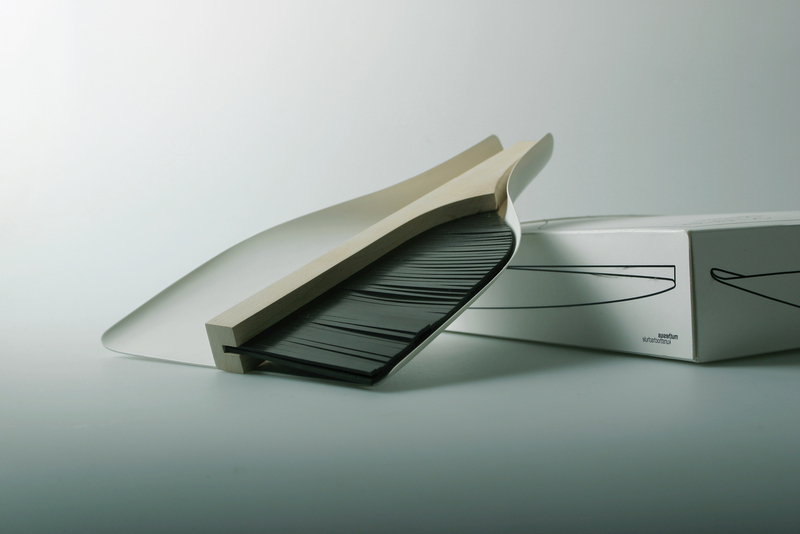 Besel+Schaufel is ancient german for brush and dustpan. (This product is the result of the short-term-project in the fourth semester. 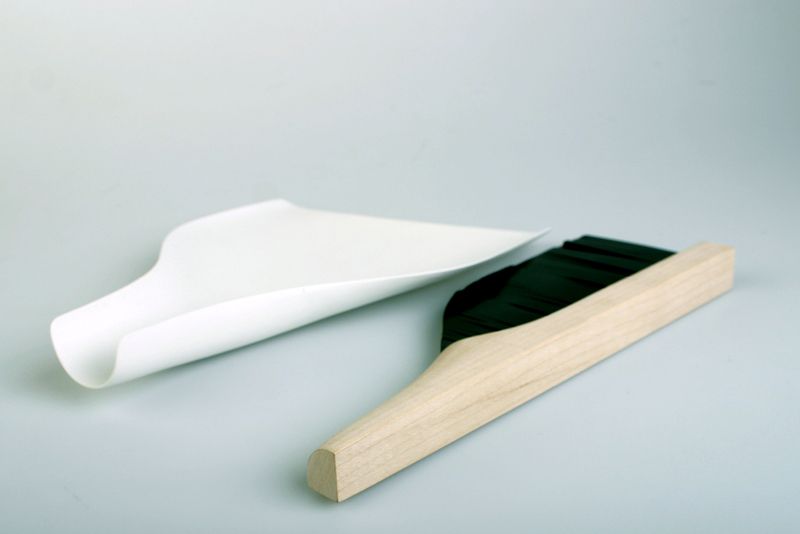 Besel+Schaufel is an hygienic set of dustpan and brush. 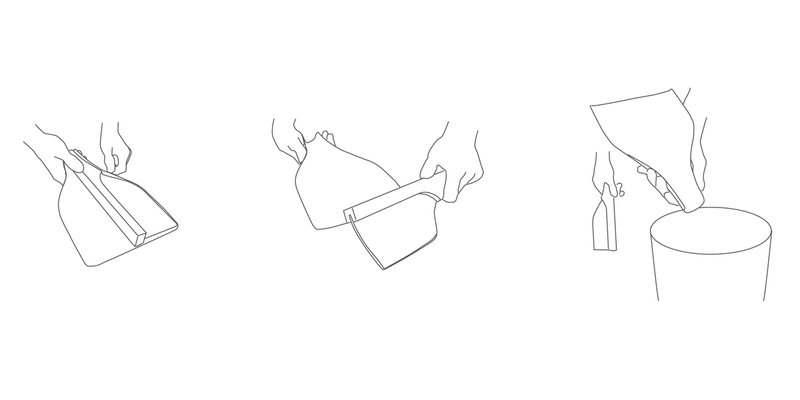 Due to the funnel-shaped design of the shovel, dust and spilled incidentials can be poured or decanted targeted. 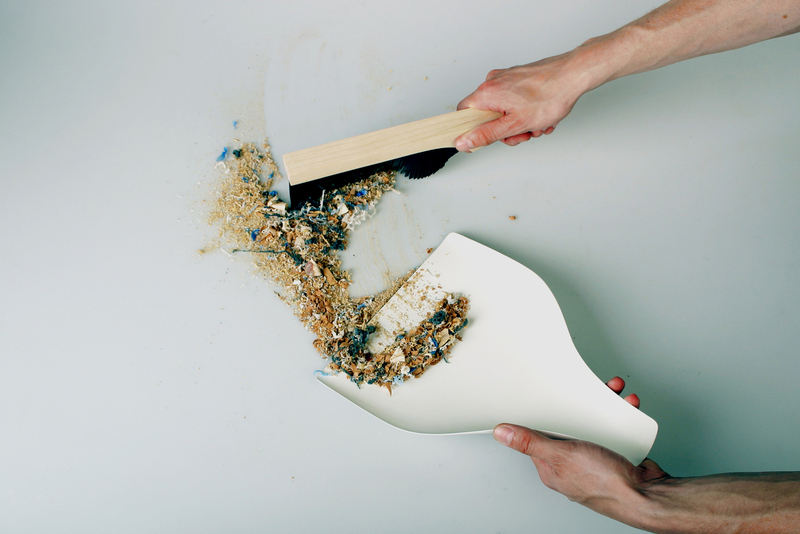 The bristles of the brush, consisting of sole-rubber, make the usage on wet floors possible. 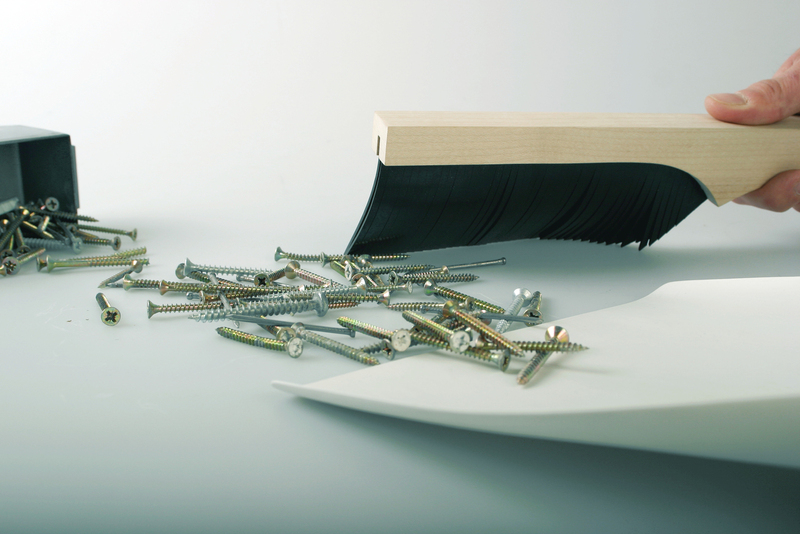 The lamellae can be washed out easily, so high durability and hygiene are guaranteed simultaneously.